Family Bowling at Hollywood Bowl, Quality Family Time Having Fun! 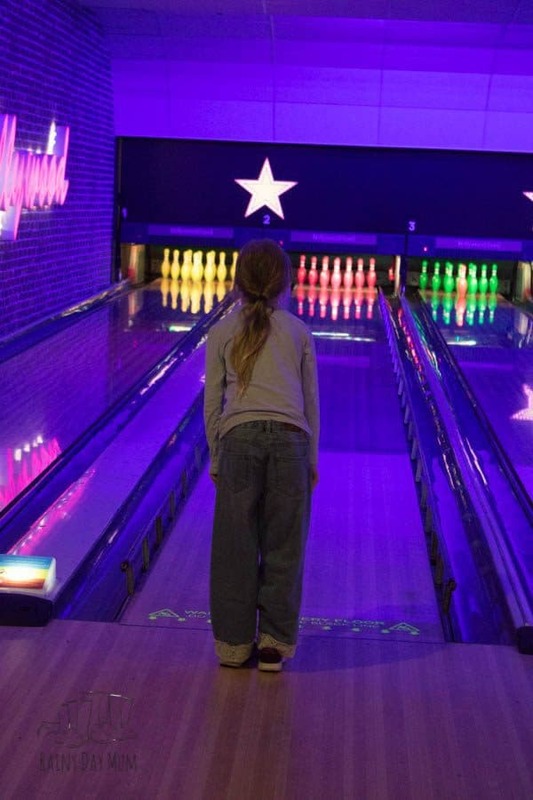 Last week I spent a day down in London talking with radio stations around the country all about Childhood Nostalgia based upon research carried out by Hollywood Bowl. I talked about how as parents it’s up to us to think about the things that we loved doing as a child and introduce them to our own children. Things like climbing trees, playing in the sprinklers, watching Saturday Morning TV, bowling with friends and family etc… Especially in a day and age where we are connected to the digital age 24 hrs a day, 7 days a week, 52 weeks a year! For me, as a parent, it was something that I am passionate above and one of the reasons that I started this site so that I could inspire my kids and others to do things that I loved. 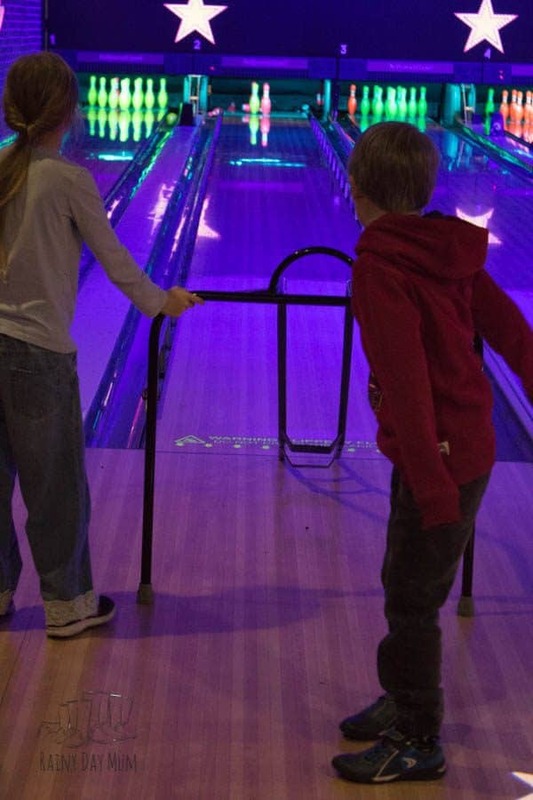 But, it did make me think that we hadn’t taken the kids bowling as a family in a long while and it was something that I enjoyed but was really bad at so when Hollywood Bowl offered us a chance at visiting one of the bowling centres we took them up. We were provided with bowling and food compliments of Hollywood Bowl. Some of my best memories growing up involve spending time with my parents. They both worked hard as teachers becoming deputy head teachers as I grew up, so that meant school days were spent with them and us at school and then evenings all of us doing school work. Weekends and school holidays became the moments that we spent time together, but it wasn’t all the time, it was short things, special outings and our annual vacations that I remember. 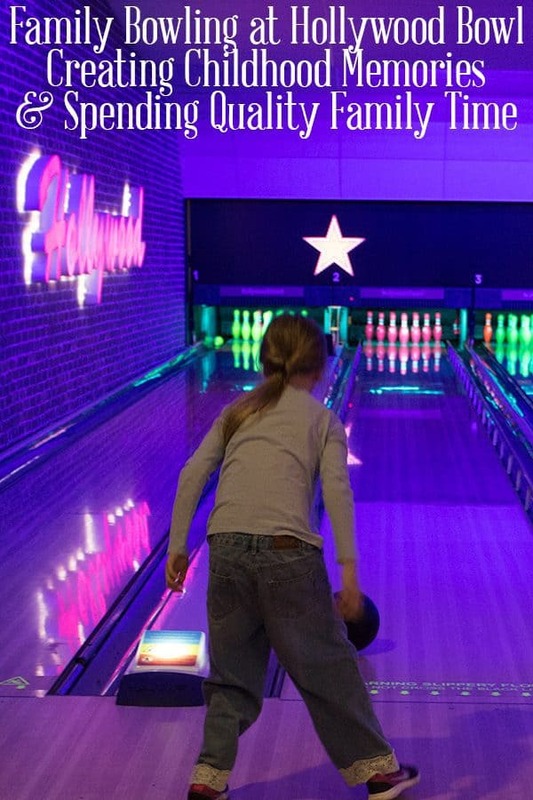 Things like heading to the bowling centre and playing a couple of games as a family. My dad and mum started out winning, but soon my brother was there. Me, well as I confessed on air to the listeners last week I was not good at bowling AT ALL! I remember one game I scored an overall score of 10 – yes I managed to over the 10 turns get an average of 1 pin down at a time! BUT… it was still fun, and it was something that for years we’ve been able to joke together as a family about how bad I am at bowling. 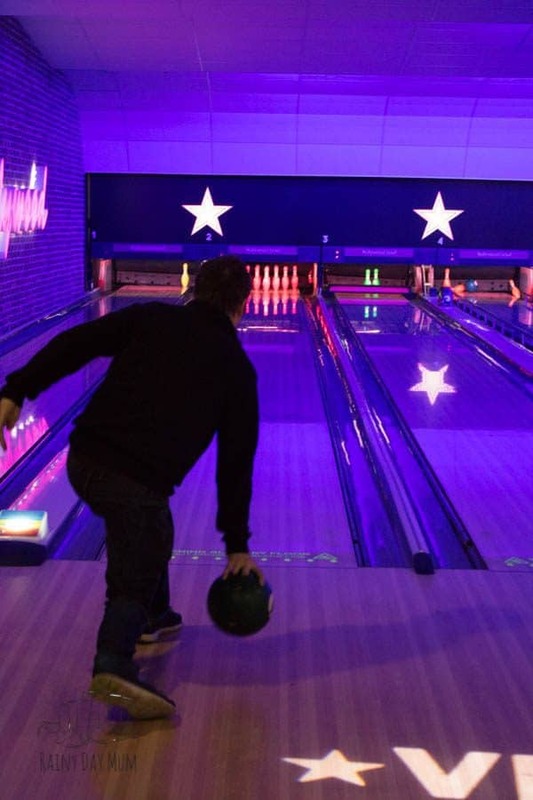 Our nearest Hollywood Bowl Centre is in Norwich, about an hour away but they are dotted all over the country so do check out their website to find more information. What surprised me was the difference between our experience at Hollywood Bowl and the experiences before. For a start, we were able to have the lane booked for us in advance – so no more turning up and waiting for a lane to become available, perfect for when you check the weather in the week and realise it’s going to be a rainy day and those ideas you had to head to the park aren’t going to be as much fun! We walked in and to the pre-booked line and were directed straight to our bowling lane. Discover more Rainy Day Activities to do with the kids here! My husband’s favourite – as long as you have no heels, closed toe shoes you can wear your own shoes. I’d been told about this so I made sure we were all in trainers or no heel shoes. Although I’ve never minded wearing the bowling shoes it did make it a lot more comfortable and my eldest whose not keen on “borrowing” other peoples things was much more relaxed. We played in the VIP lane – which had its own full set of VIP balls with a guide on which would be best for you and the others in your party, a lane assistant came and took our drinks order and then brought the drinks to us so we could continue playing perfect for parties. 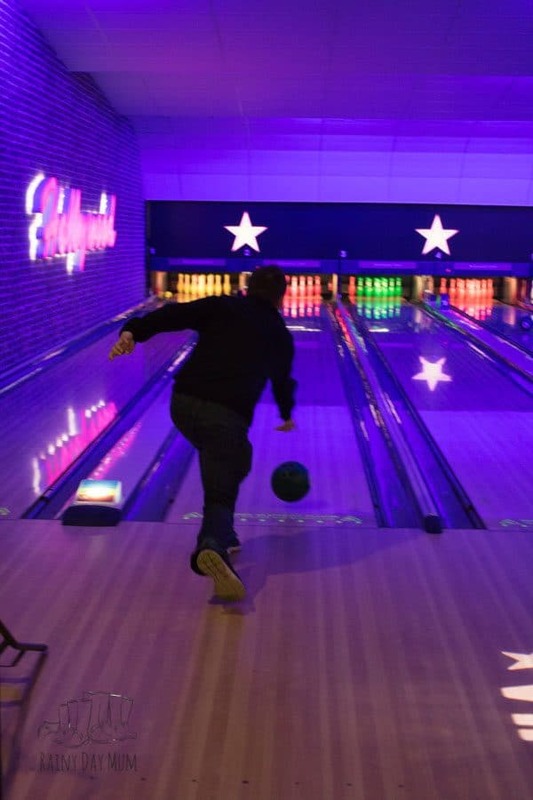 I did check out the other lanes though and they had comfortable seats, as well as a great selection of balls and fun music playing in the background. As well as the bowling the centre also had a bar serving kids drinks, soft drinks, beers, wines and some amazing sounding cocktails. There was also American Style Dinner with delicious fast food, we enjoyed hot dogs and burgers which could have been brought to us in our VIP lane but we decided to play and then eat afterwards. As well as some arcade machines, but to my delight, it wasn’t fruit machines instead there were basketball games, old-school Sega games and a VR machine! So before I let you know our opinion if you haven’t already figured it out I’m sure you want to know about my bowling right? Well, as I asked for the bumpers which may have helped I am proud to say that I am no longer the families worst player in fact I won our first game with my youngest coming second (GIRLS RULE!) and Rainy Day Dad last. The second game – well Dad got 2 strikes on his last turn beating me out of that top spot and this time my youngest lost with the eldest coming 3rd each time. But back to what we think. 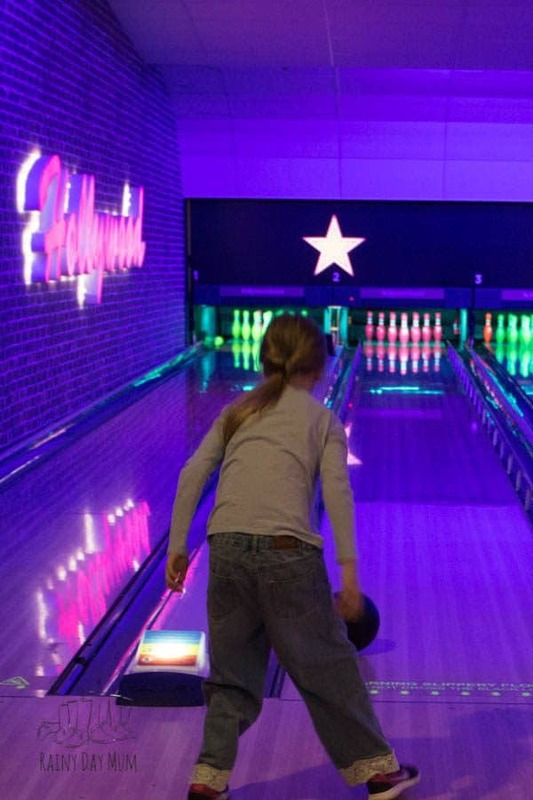 Well, I wish we had a Hollywood Bowl Centre closer it would be ideal for parties especially those winter birthday’s, a great special family treat and a fantastic way to spend some real quality time together. Until we do get one closer I’m going to pencil it in as what we will do again next time we head to Norwich. 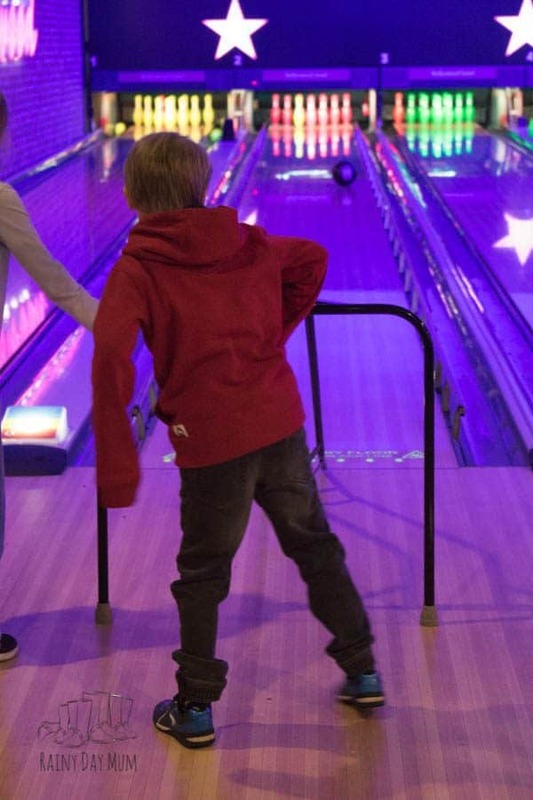 Find out where your nearest Hollywood Bowl is and book your next game online so that you and your kids can enjoy some fun quality family time together.